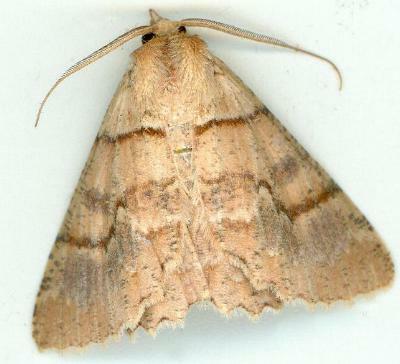 The adult moths of this species are pale brown with several broad zig-zag submarginal bands in various shades on each wing. The underside of each wing is off-white, with a black spot near the middle, a brown margin, and a black submarginal band. The wingspan is about 4 cms. Volume 30 (1906), p. 130.